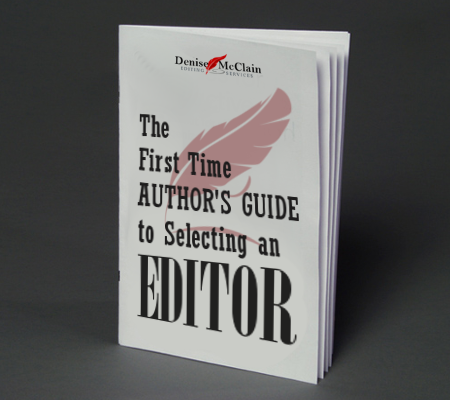 If you’re an author, you know spellchecker isn’t enough; it is critical to have your story as clean as possible. You want your story as ready as you can make it, whether you’re self-publishing, publishing at a small digital press where there’s minimal editing, or if you just want a leg up on the competition when you send your work to an agent or major publisher. Imagine this: You wrote a book, but your internal editor isn’t all that sharp. After uploading your story to a digital publisher such as CreateSpace or Kindle Direct, you sell a few books…and then you look at the reviews. They didn’t enjoy the story because they were too distracted by the plot errors, the typos and/or the grammar issues. You may have sold that copy, but if they don’t outright ask for a refund, you can be sure they won’t read your works again, even if you have the subsequent stories professionally edited. With all the review blogs and social media available today, your savvy reader won’t stop with their own disgruntled opinion. They’ll share it. The moral of the story? First impressions create lasting impressions. Click on the book image to open the form.